Join us for the 3rd Annual Networking Night, where alumni from US and Canada all meet on the same night! 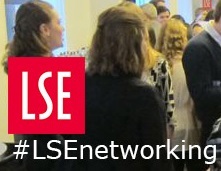 For the 3rd consecutive year, the LSE is hosting a continent-wide networking event. Join us for an evening of connecting to old classmates, seeing old friends and meeting new ones. Cash bar.